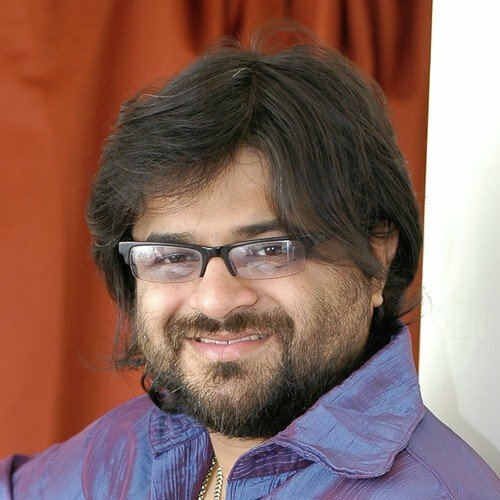 Pritam Chakraborty is a music director composer from Kolkata who saw a spectacular rise to fame with release of the movie Dhoom (2004). Songs like Dhoom Machale to the more recent Main Rang Sharbaton Ka, characterize his musical style as a delicate fusion of Indian classical music with western influences. His style shifts from Sufi notes (Once Upon Time in Mumbai) to Ghazal rhythms (Barfi). Pritam’s father Probodh Chakraborty, who ran a music school for children, trained Pritam on how to play the guitar. During his time at Presidency College, he was a member of Bangla bands like Chandrabindu and Jotugriher Pakhi. In 1993, he joined the Film and Television Institute, Pune to undertake a course in sound engineering, wherein he got a chance to compose background music for a film by Hungarian filmmaker Istvan Gaal. In between, he also managed to learn African music from Kedar Avati. Soon after he finished his course, he moved to Mumbai with Bollywood in his mind. In Mumbai, he teamed up with Sanjay Gadhvi, Shantanu Moitra, Rajkumar Hirani, and Chandrajeet Ganguly. When Gadhvi signed up to direct the movie Tere Liye (2000), Pritam and Chandrajeet (also known as Jeet) joined in as music composers, forming the Jeet-Pritam duo. The music won appreciation, but the film was a flop at the box office. In 2002, Gadhvi once again signed up to direct the movie Mere Yaar Ki Shaadi Hai, in which all songs composed by the Jeet-Pritam duo became chartbusters. After this, Pritam did one composition with Jeet for the movie Mudda-The Issue (2003) before they parted amicably. Later he composed for films like Fun 2shh - Dudes In The 10th Century (2003) and Agnipankh (2004) which did not fare well. Pritam had built a name for his compositions by finely blending Indian classical music with western influences. His compositions for Gadhvi’s second movie Dhoom (2004) were a runaway hit. He followed this up with compositions for films like Chocolate (2005), Garam Masala (2005) and Gangster (2006), Dhoom-2 (2006) and Life in a Metro (2007). At about this time he also formed his own band called Metro. Next up, his series of films included Bhool Bhulaiyaa (2007), Awarapan (2007), Dhan Dhana Dhan Goal (2007), Jab We Met (2007), Naqaab (2007) & many more. He then went on to compose for more recent films like Singh is Kinng (2008), Kismat Konnection (2008), Billu (2009), Golmaal Returns (2008), Tum Mile (2009), Ajab Prem Ki Ghazab Kahani (2009), De Dana Dan (2009), Badmaash Company (2010), Rajneeti (2010), Once Upon a Time in Mumbai (2010), Crook (2010), Action Replayy (2010), Golmaal 3(2010). In 2011, he composed for the films Dil Toh Baccha Hai Ji, Dum Maro Dum, Ready, Mausam, Desi Boyz and Players. In 2012, he scored for the films Agent Vinod, Jannat 2, Ferrari Ki Sawaari, Cocktail, and Barfi. By 2013, his list included Race 3, Murder 3, Yeh Jawani Hai Deewani, Once Upon a Time in Mumbai Doobara, Phata Poster Nikla Hero, and Dhoom 3. He started the year 2014 with compositions for Yaariyan going on to Shaadi Ke Side Effects and Holiday. His upcoming films include White Lies, Phantom, Roy, Jagga Jasoos, and Badtameez Dil. He mentored and judged Sa Re Ga Ma Pa Challenge 2009 and was a judge for Chhote Ustaad on Zee TV. He was also a guest judge for the X factor and Zee Bangla SaReGaMaPa 2012-13. He also composed the track for Hrithik Roshan’s TV series Just Dance for Star TV.